Diwali, the festival of lights and prosperity, is not only associated with celebration, homecoming, joy, sweets and firecrackers but is also very important for the business class, where they worship Goddess Lakshmi for wealth and prosperity. Trading in stocks is a highly volatile market and investors need a lot of luck from Goddess Lakshmi so that they make huge profits in the business. People trading in stocks surely go for Muhurat trading during Diwali. What is a Muhurat Trading? The word “Muhurat” means an auspicious time as per astrology, when planets align them in such a way that it becomes the best time to carry out financial activities during the day. The Indian stock market observes Muhurat Trading, an auspicious one-hour trading period, on the day of Diwali. It is believed that the period is best for trading as the alignment planets would help the investors to make huge gains for the whole year. Most traders buy stocks during this time as a ritual. Stocks are bought keeping long-term investment in mind and people refrain from investing in high-risk stocks during the Muhurat trading period. The Muhurat trading timing is set by the stock market every year. The stock market remains closed on the day of Diwali. Only Muhurat trading is carried out on this day. BSE and NSE are going to hold the Muhurat trading on 7th November 2018 between 5:30 pm and 6:30 pm. 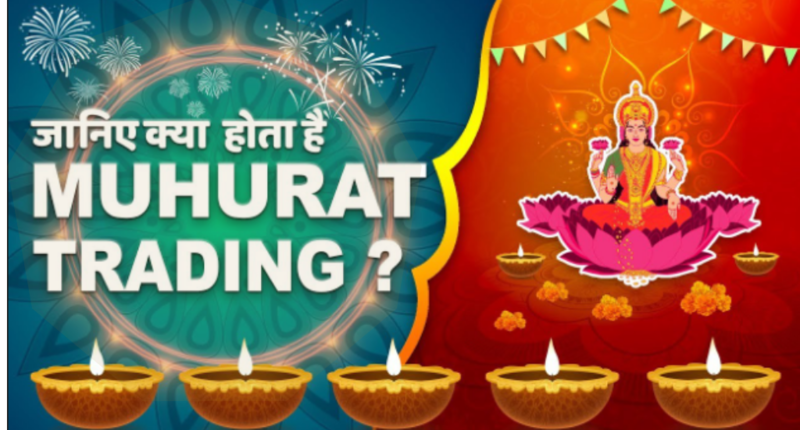 The Muhurat trading period is generally held in the evening on the day of Diwali to allow investors to make token purchases on this auspicious day. Many communities consider Diwali as the beginning of the traditional financial year. Traders clean all old account books and migrate to the new account books on this day. Muhurat trading in India has been observed and followed for ages. Traditional traders followed the auspicious Muhurat to carry out token transactions on the day of Diwali. The Sensex adopted this practice in its own culture and the stock market started opening for an hour in the non-scheduled hour on Diwali for traders to carry out token purchases. Some investors also invest heavily during this period for the long term. It is a one-hour time slot when the stock market operates on Diwali. The timing of Muhurat trading is notified by the stock market beforehand. There is no technical significance of Muhurat trading. It is more about belief and tradition. It is not mandatory to carry out trading during the Muhurat trading period. People generally focus on making medium to long-term investment during this period and expect they make higher gains during the traditional financial year. If you are one of the investors who has never invested in the stock market, Muhurat trading 2018 is the right time for you to start a new investment. To read more interesting and informative articles on finance, click here.